Alwyn Humphreys combines two busy careers as a television presenter and choral/orchestral conductor. He is Conductor Emeritus of the Morriston Orpheus Choir and Principal Guest Conductor of the Chamber Orchestra of Wales. 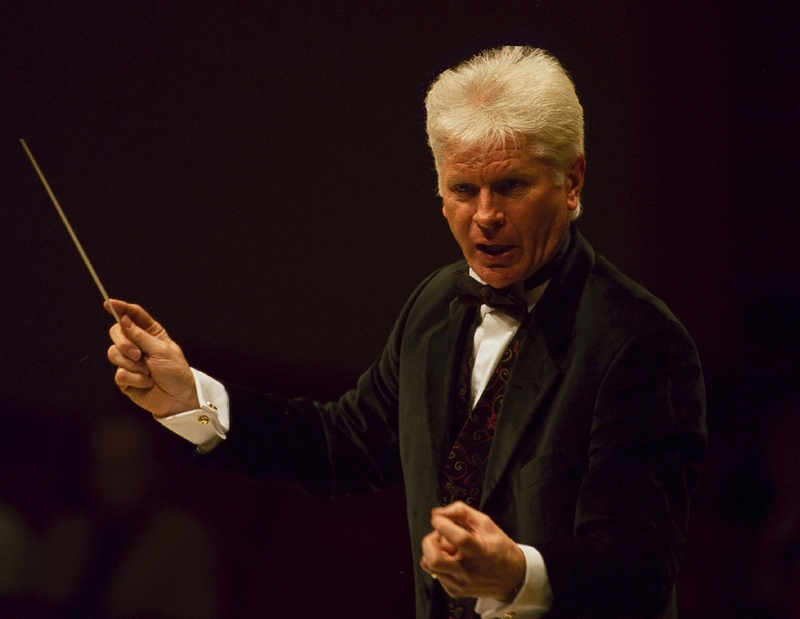 Recent guest-conducting engagements have taken him to Russia, Argentina, China, South Africa, Australia, Switzerland and Monaco, and future plans include visits to Hong Kong, Ukraine, Austria, Slovenia and Poland, as well as conducting the 2015 Welsh Association of Male Choirs Festival at the Royal Albert Hall. Alwyn was born in Bodffordd, Isle of Anglesey, and after graduating in music from the University of Hull and Trinity College, London, was a lecturer in Liverpool before becoming a television Producer/Director with BBC Wales. 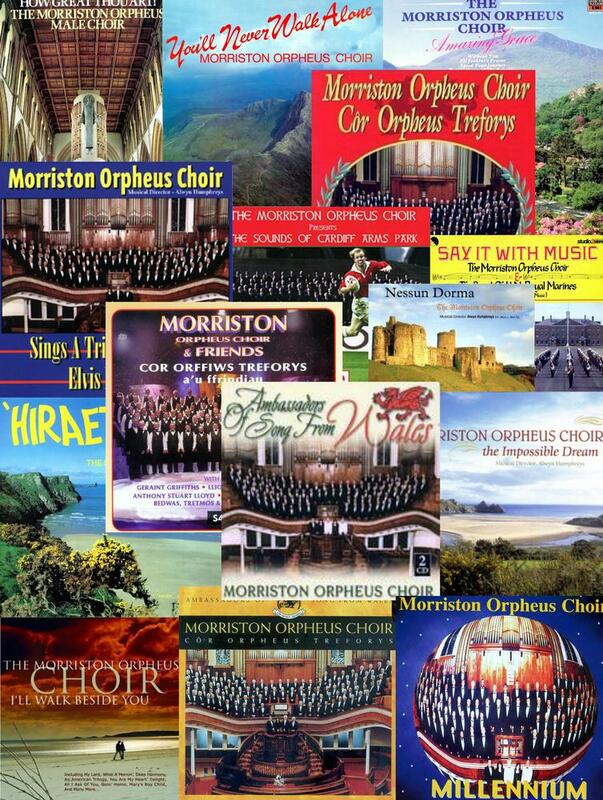 During his 25 years as Music Director of the internationally-acclaimed award-winning Morriston Orpheus Choir he travelled widely (Germany, Spain, Italy, Poland, France, Canada, USA, Australia, New Zealand, Taiwan, Oman, United Arab Emirates), performing at notable venues such as Sydney Opera House and Carnegie Hall, both concerts achieving 5 standing ovations. Amongst the 28 recorded albums made, 3 won awards for Best Choral Album of the Year, with another 2 achieving Silver Discs. In recognition of his service the choir appointed him their Conductor Emeritus in 2005. Alwyn's musical arrangements and compositions for male choir, now numbering over 200, are much in demand from choirs world-wide, with publications in Britain and America. In addition to his choral work Alwyn is Principal Guest Conductor of the Chamber Orchestra of Wales, with whom he regularly presents a popular series of concerts by candlelight, and with whom he has accompanied eminent soloists such as Dennis O'Neill, Rebecca Evans, Llyr Williams, Elin Manahan Thomas, and Wynne Evans. He was created an MBE in the Queen's 2001 New Year's Honours List and was awarded a Doctorate in Music by the University of Hull in 2006. His autobiography ('Yr Hunangofiant') was published in 2006 and was long-listed for the Welsh Book of the Year. His volume of musical anecdotes ('Cythrel Cerdd') was published in 2008. Alwyn's television work has included presenting the Henry Wood Proms, Welsh Proms, National Eisteddfod, Llangollen International Eisteddfod and various magazine series. He is currently the main presenter of S4C's 'Dechrau Canu, Dechrau Canmol'. In 2014 he was granted an Honorary Fellowship of the University of Wales Trinity Saint David. 'A legend - not only a credit to the world of music, but to the Welsh nation' - Secretary of State for Wales, Peter Hain.